As a Linux user, you might think that your options are limited when it comes to playing poker online, but that simply isn’t the case. 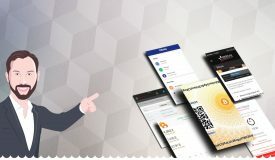 The good news is that you have a couple of different ways to play Linux poker games for real money at many of the top poker sites in the world. You don’t have to go out of your way or make any big changes to your computer, either. Playing Linux-compatible poker games is actually quite easy. 1.3.1 Are there any poker sites just for Linux players? 1.3.2 Am I only competing with other Linux players? 1.3.3 Do I have access to all of the same poker games? 1.3.4 What online poker bonuses are available to Linux users? 1.3.5 What are the system requirements for playing poker using Linux? 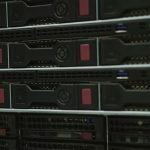 Since it can be quite a complex process downloading poker software intended for Windows to your Linux computer, it’s a good idea to first try out no-download poker sites. This is often referred to as instant play poker software. 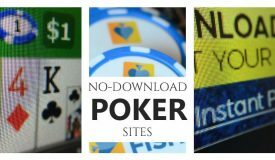 These are real-money poker sites, but they don’t require you to download any software and all of the games load directly within your web browser. Since only your browser matters and not your OS, Linux is perfectly capable of running the in-browser poker software. No-download online poker sites run on HTML5, but there are a few that still use Flash. Ensure that your Linux web browser is fully updated to ensure that you don’t run into any problems playing instant play poker. 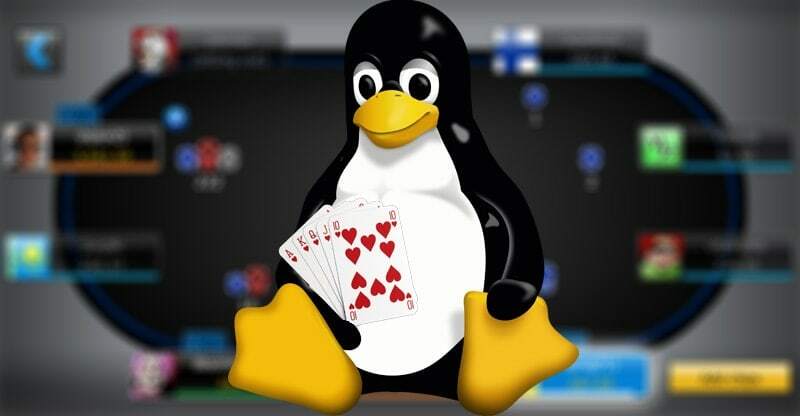 Poker sites that allow in-browser play and emulation using Wine are the most common ways to play Linux poker games online. There are some drawbacks to playing at Linux poker games at no download sites, however. You should examine all of your options carefully to make sure that the instant play version of the poker room has everything that you’re after. For example, some in-browser poker software that works on Linux will only include cash games and not tournaments. If instant-play Linux poker sites don’t have all of the games and features that you’d like, then using Wine is the next best option. When it comes to playing Linux-compatible poker games, 888 Poker has been doing it the longest. This poker site is known for its wide range of games, tournaments, and features that players can access using any desktop or mobile device. If you’re looking for other places to play built-in no-download Linux poker games, Unibet Poker also caters to browser-only players. 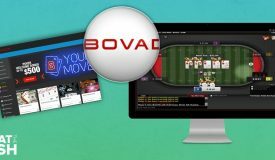 Bovada Poker is my top choice for Linux players from the USA. It looks excellent using the Chrome browser with no extra software to install. Getting started really couldn’t be easier. All you have to do is log in to your account. At sites that offer both downloadable and instant no-download games, you’ll have to click on the Instant Play version. You’ll then be taken to the poker lobby where you can select from cash games, tournaments, and any other special poker features on offer. 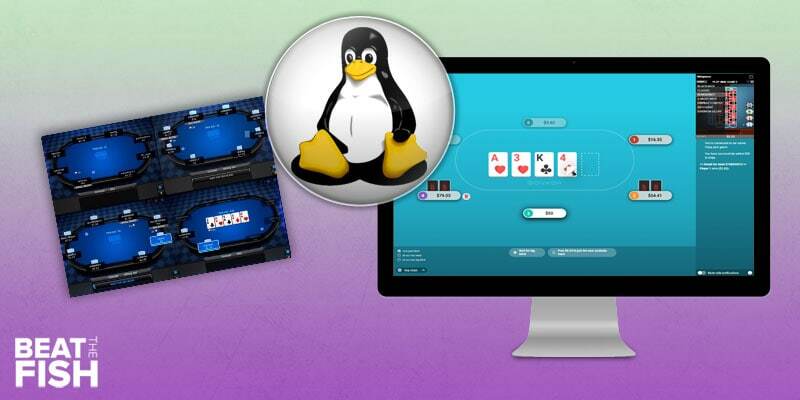 888 Poker is one of the most popular Linux poker sites, offering instant-play games and tournaments. Remember that with most instant-play Linux poker sites, you won’t have the full range of activities. For example, at 888 Poker, you can’t choose which table you sit down at; you can only choose the game type, table type, and stakes. Then, you’re randomly placed at a table. At other sites, there are limited multi-tabling capabilities or a limited selection of cash games and tournaments. So, be sure to fully explore the instant-play versions of each site you’re considering to make sure they have everything you want for your Linux poker playing experience. 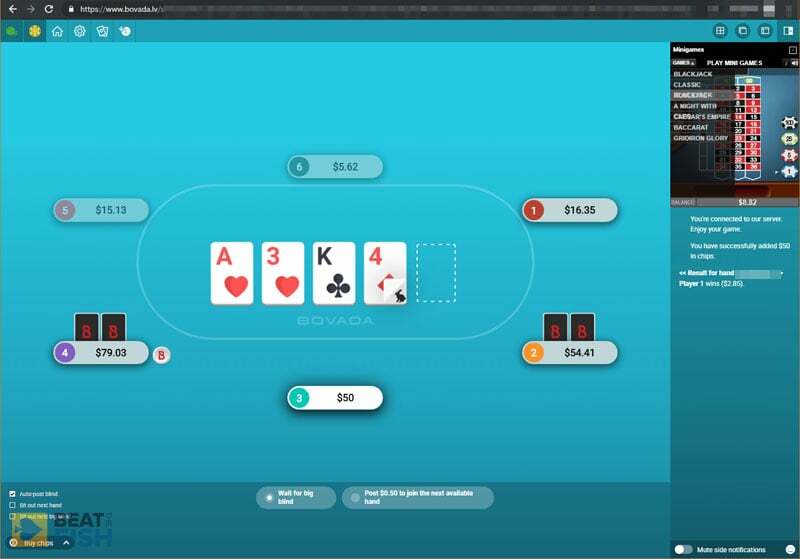 Some Linux-compatible poker sites, such as Bovada Poker, Ignition Poker, and BetOnline Poker, don’t have an official Instant Play version. However, you can use this hack to play them on Linux anyway. 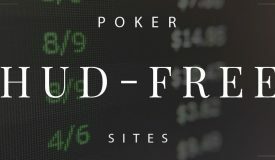 Using your preferred Linux web browser, create and sign in to your poker account at the main poker website. Then, type the mobile poker URL into your address bar. Look at the table at the top of this page for the URL for each site. You’ll then see the mobile lobby load and be able to play any table the poker site supports on mobile, but on your Linux computer. 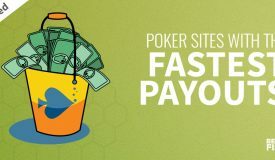 Poker sites have improved their mobile versions significantly in recent years, improving responsiveness and sometimes even offering multi-table support. If you’re on Linux, playing the mobile in-browser version is a perfectly serviceable option. You just need to type it in. 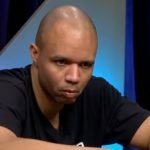 While Linus players can play at many poker sites that don’t require a download, some sites still require players to download software in order to experience the full suite of cash games and tournaments. If you want to play at a poker site that only offers a Windows software download, you can use the compatibility layer called Wine. 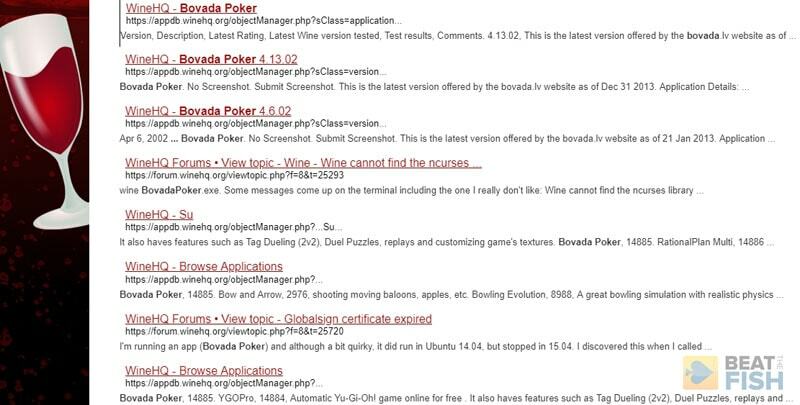 Linux poker players can use Wine if they want to play at a poker site that requires a Windows download. 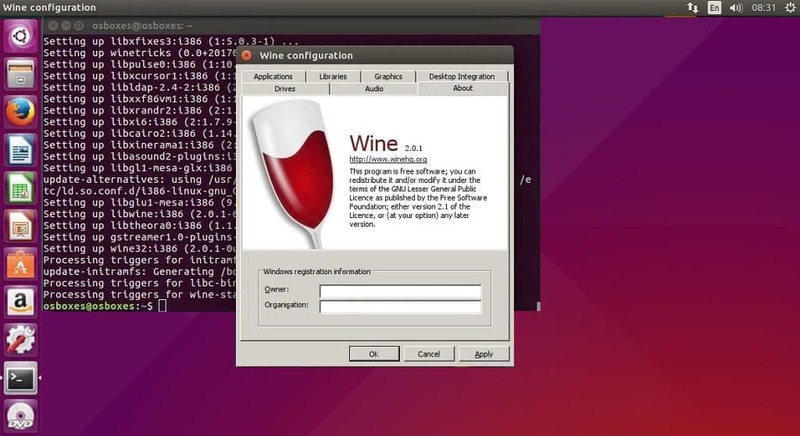 Wine is a system that allows Windows applications to run on Linux platforms. There is a wide range of Windows programs that can be run using Wine, including software from many online poker sites. Your Linus device likely already comes with Wine installed, but it’s likely to be outdated at this point. So, you’ll have to add the official Wine repository. Now you should have an updated version of Wine up and running on your Linux device. The next step is installing a program. Visit your favorite online poker site and download the latest Windows version of the operator’s software. From the Downloads directory, right-click on the .exe file and select “Open in Windows Wine Program Loader”. You’ll then go through the installation process just like you would on a Windows computer. It will show you a C drive, but ignore that. Wine on Linux has its own folder called “drive_c”, so this is nothing to worry about. You’ve done everything correctly so far. If you want to have a desktop shortcut, it’s best to select this option during the installation process. Otherwise, it can be a little bit complicated to do this once the installation is complete. You’ll have to remember that not all Windows programs will run on Wine. However, there is a pretty impressive list of apps that do. 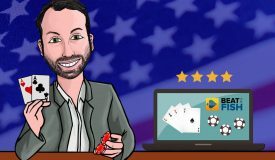 Before you sign up to an online poker site, you might want to first download the software and install it on Wine to make sure it will work on your Linux device. 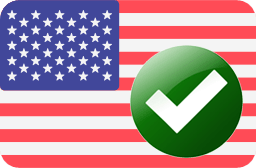 The Linux WineHQ maintains a database of compatible software that users have tested. A number of poker sites with Windows downloads appear. Are there any poker sites just for Linux players? There are no online poker rooms that specialize in games exclusively for Linux players. Am I only competing with other Linux players? When you’ve downloaded online poker software, you’ll be competing with players using Mac and Windows devices. At instant-play casinos, other players will also include iOS and Android players, too. So, you never have to worry about the player pool being tool small. 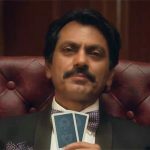 Do I have access to all of the same poker games? When using Wine to run online poker software, you’ll be able to play all of the same games that are available to Windows users. However, if you’re playing at an instant-play poker room, you may notice that there are fewer games and tournaments or that some features aren’t included. What online poker bonuses are available to Linux users? Even when you’re using a Linux device to play online poker, you’ll still have access to all of the same bonuses and promotions as other players. What are the system requirements for playing poker using Linux? If you’re playing at an instant-play poker room, you don’t have to worry about system requirements. Just ensure that your Linux web browser, such as Chrome, Firefox, or Midori is up-to-date. 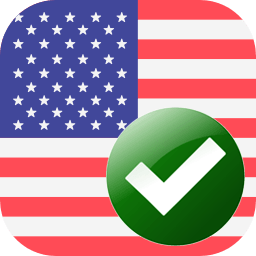 With downloadable software, ensure that you have the latest version of Wine on your device.